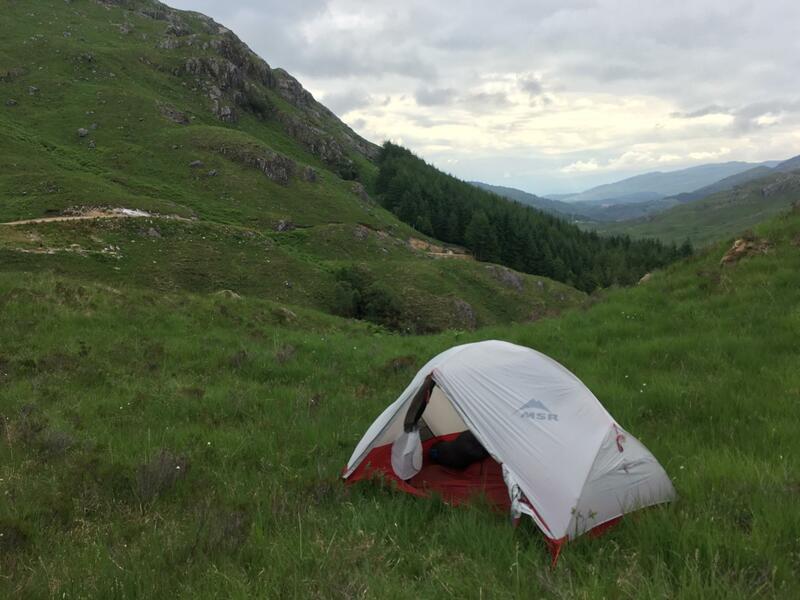 MSR Hubba Hubba review: Meet my all-time favourite backpacking tent, the MSR Hubba Hubba two-man tent, £300. I’ve had a few people comment on the sudden explosion of photos of my shiny new tent on Instagram, and it’s true that my Hubba Hubba has been on plenty of wild camping forays this spring and summer. I’m regularly asked if I rate these covered but pricy tents, so it seemed time for a review. In short? I. Love. This. Tent. Pitching the Hubba Hubba: The first time I put up the Hubba Hubba I decided I was above reading the instructions, and spent 45 minutes attempting to erect the outer tent first, to little avail. Once I finally had a look at the (very simple) steps I had it up in ten minutes, and now I’m a pro at getting it up fast. It’s a doddle to clip the light tent poles into the inner tent and then pop the outer fly on top. Tent pegs are sturdy and the whole thing feels both beautifully made and wonderfully light – you can tell it has been designed with serious campers in mind. And it’s a quick job to pack down again and – and this is unusual in my experience of tents – the Hubba packs very easily into its stuff bag every time, even if you don’t do a great job of folding up the material. 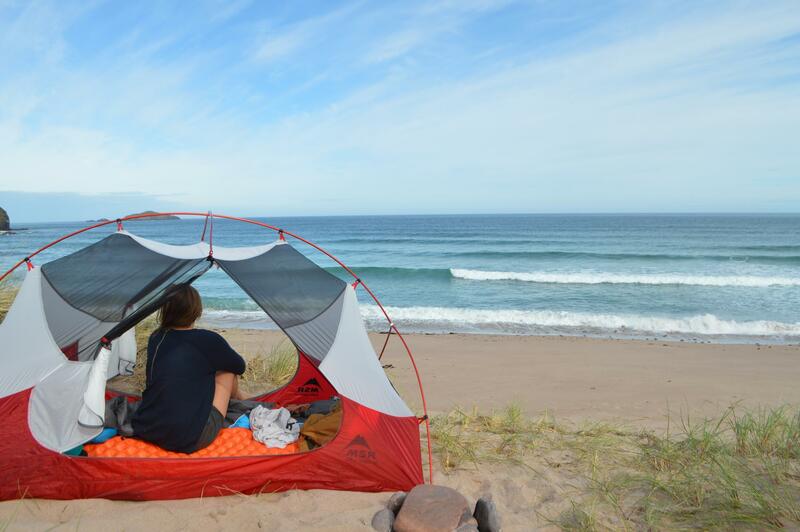 The zippiness of getting the Hubba Hubba up and down makes it perfect for wild camping. Wild camping: The Hubba Hubba quickly became my go-to tent due to its light weight and how neatly it packs down into a very carry-able size. It may be small and light enough for wild camping and backpacking, but I use it on campsites too, as it’s lovely and roomy for one or two people. It’ll fit in a reasonably sized backpack and is a joy to use in any weather – the outer fly is reliably waterproof and windproof and the inner tent’s mesh panels are also mosquito and midge proof. I’ve used the inner tent alone on really hot nights, a lovely watch to watch the stars but feel more protected than bivvying. Inside the Hubba there’s plenty of space for two people and their kit. plus two storage pockets, and unlike lots of backpacking tents it doesn’t feel claustrophobic inside, due to the two door. You can pitch both porches, one or neither, too, changing how much space you end up with. 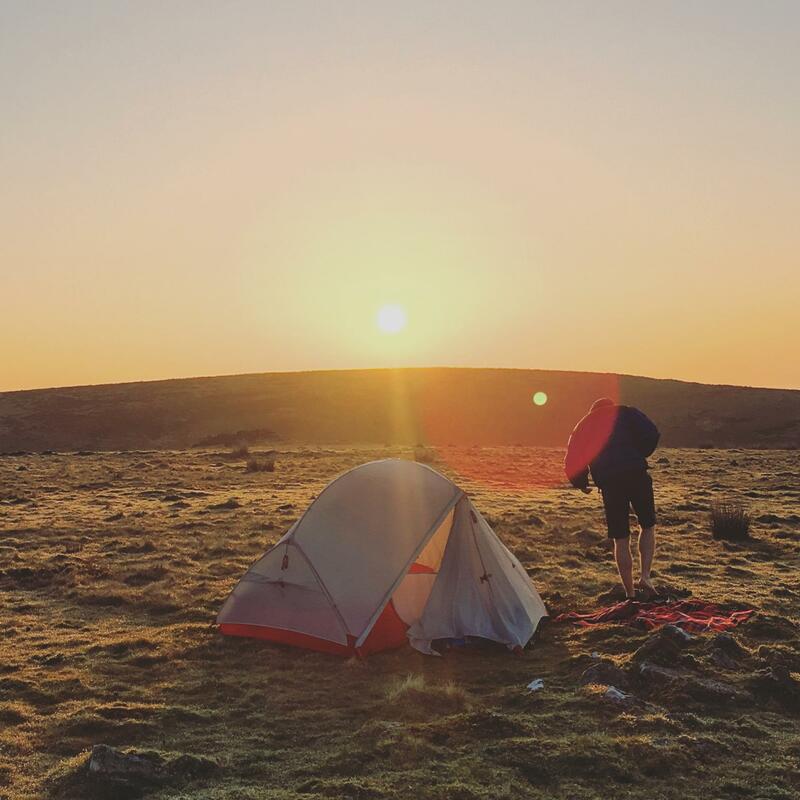 The groundsheet does look and feel very light and delicate but so far it’s proved itself to be tough and durable even when pitched on rocky ground. Top marks. Verdict: The Hubba Hubba is not cheap, but I reckon it’s totally worth the spend for an excellent tent that’ll last you for years. One of the best tents I’ve tried out in ages.